The Holidays are upon and and we are all rushing to get those last minute gifts, I have a wonderful suggestion! Send cheer to those on your Holiday gift list with Teleflora. I received this beautiful Silver and Joy Christmas centerpiece. from Teleflora. This arrangement is absolutely stunning. 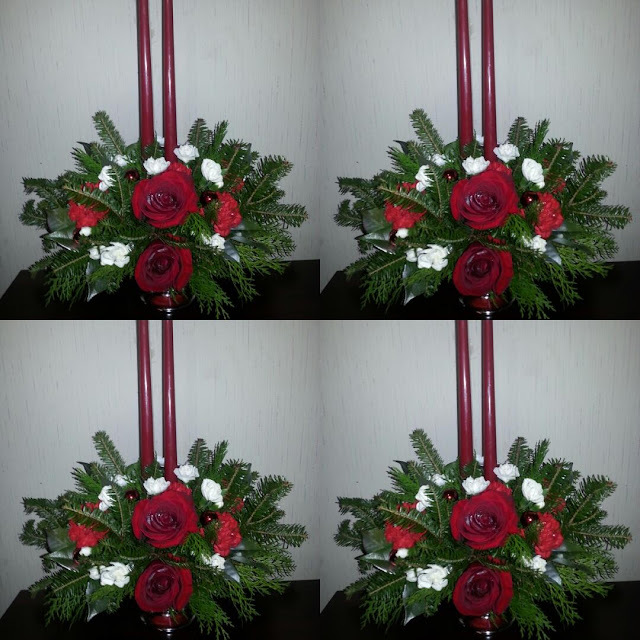 The arangement comes with roses,red and white carnations, greenery and red tapered candles in a beautiful glazed bowl. The picture alone cannot capture the essence of this centerpiece. It brings warmth and color to the room . You have to see it for yourself. I was in awe of it's beauty. Teleflora has many other Holiday arrangemnts including bouquets featuring our favorite childhood cartoon characters from Peanuts. 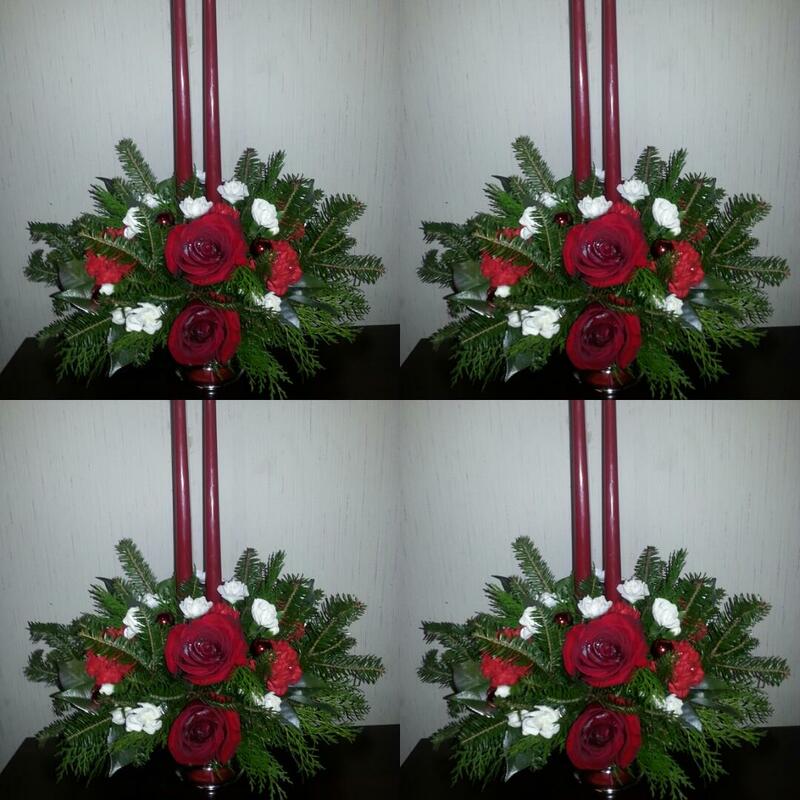 You can make gift giving easy this Holiday season by ordering one of these lovely bouquets from Teleflora. 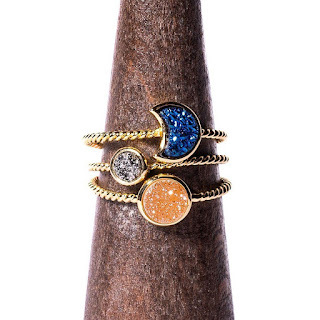 It would make a great gift for your Holiday party host, teachers, or that hartd to buy for erson of your gift list. Give the gift of flowers from Teleflora and send cheer this Holiday season. 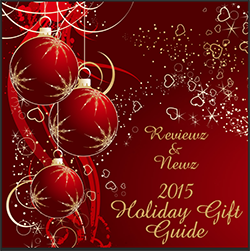 Reviewz & Newz is happy to include Teleflora in our Holiday Gift Guide. Which bouquet from Teleflora would you send? The possiblities are endless. Such a beautiful centerpiece - would look lovely on my table for the holidays! They have some beautiful bouquets! I'd love to have one of these for a centerpiece on my table for Christmas! Very pretty! I'd put that on our table. That is such a pretty centerpiece. I also like Teleflora's Silver And Gold Centerpiece. These are absolutely gorgeous and so festive. They are so pretty, They would look amazing on my buffet! Love the Silver and Joy Christmas centerpiece, it's really beautiful! I love the snoopy cookie jar bouquet! They also have a zen artistry one that I've been wanting to get my mother in law for ages. I would love this cookie jar bouquet, such wonderful centerpieces. I love their Christmas bouquets! Silver and Joy Christmas centerpieces, these are absolutely gorgeous! I would like to send the Christmas Wishes Centerpiece to my cousin who lives out of state. I really love the snoopy cookie jar bouquet. What a pretty arrangment and centerpiece. I really love the smell that fresh pine and flowers add throughout the hoidays.